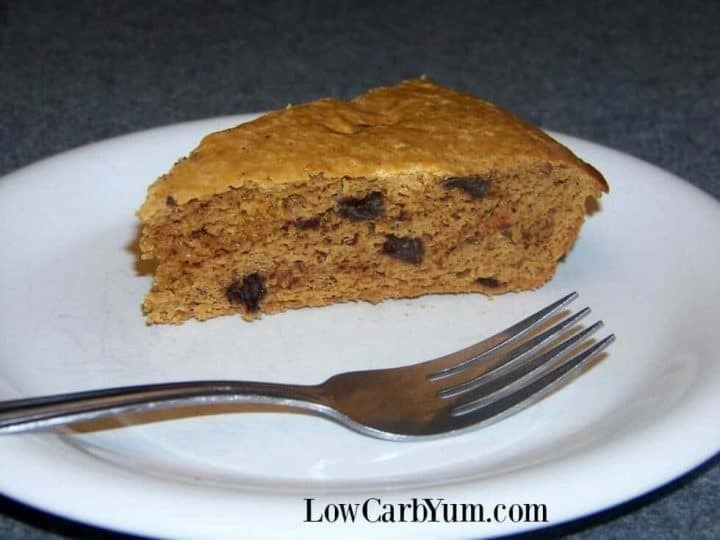 This simple low carb chocolate chip cake takes little time to prepare. It’s a peanut flour recipe that can be dressed up with frosting or chocolate ganache. 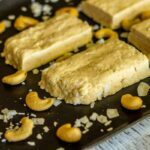 Although peanut flour is one of my favorite low carb substitute for flour, it has been a while since I baked with it. For cakes, I prefer to use peanut flour to other nut flours because it is so light and powdery. 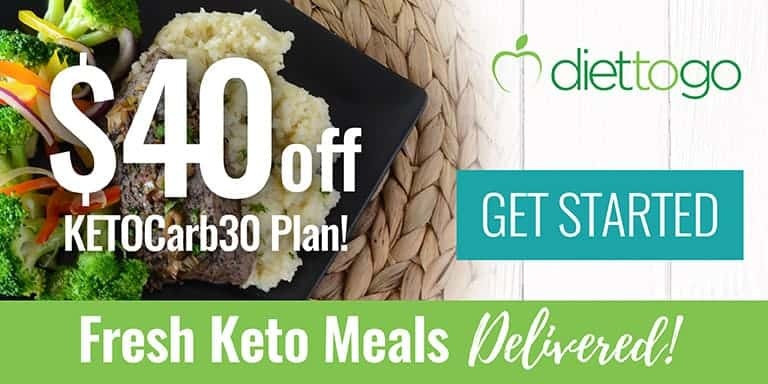 Carbquik is another favorite, but it contains wheat so those on a gluten free low carb diet can’t use it. I wanted a simple cake that could be baked on the spur of the moment. To keep calories and carbs low, I chose not to frost it. 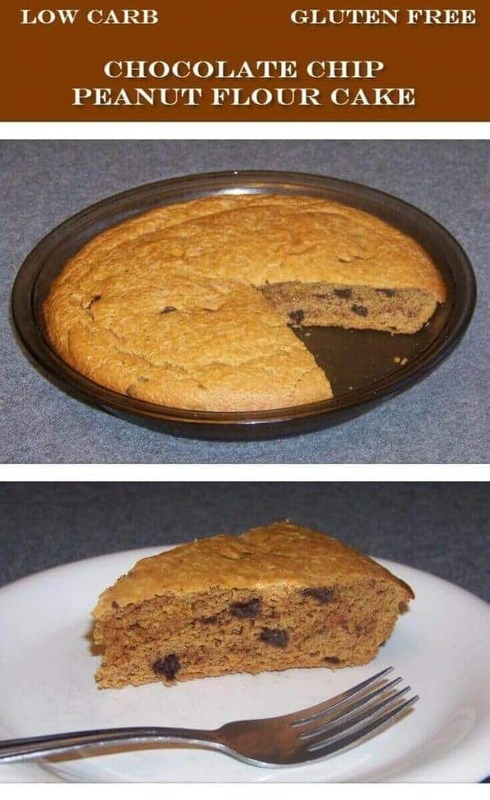 However, you could add a frosting to this chocolate chip cake peanut flour recipe. Or, the cake could be topped with a chocolate ganache for those wanting the extra sweetness. The sugar free chocolate chips that I’ve been using are made by ChocoPerfection, but I just found out that they have discontinued this product. I had 1/3 cup left in my last bag which was just enough to make this cake. Therefore, I will have to start making my own homemade chocolate chip baking chips as many low carbers are already doing. The other store brand sugar free chips either contain artificial ingredients or give me digestive distress. Low carb chocolate bars could be cut up into chunks, but those bars can be a bit expensive. I usually only buy those for special treats. 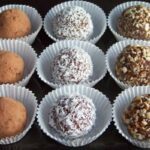 An alternative to making your own sugar free chips or using commercially available low carb chocolates would be to use a very dark chocolate bar that does not contain a lot of sugar. That will keep the carbs lower than using normal semi-sweet chocolate chips. I used a regular 9-inch glass pie pan for this chocolate chip cake peanut flour recipe. But, a 9-inch cake pan can also be used. You could use muffins tins as well for chocolate chip muffins. Any way you bake it, this subtly sweet cake is perfect for snacking. 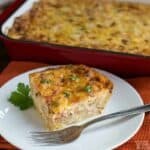 And, you won’t have to worry about going off track in your low carb diet. 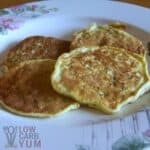 So, if you have a bag of peanut flour laying around, give this low carb cake a try. It’s almost guilt-free! 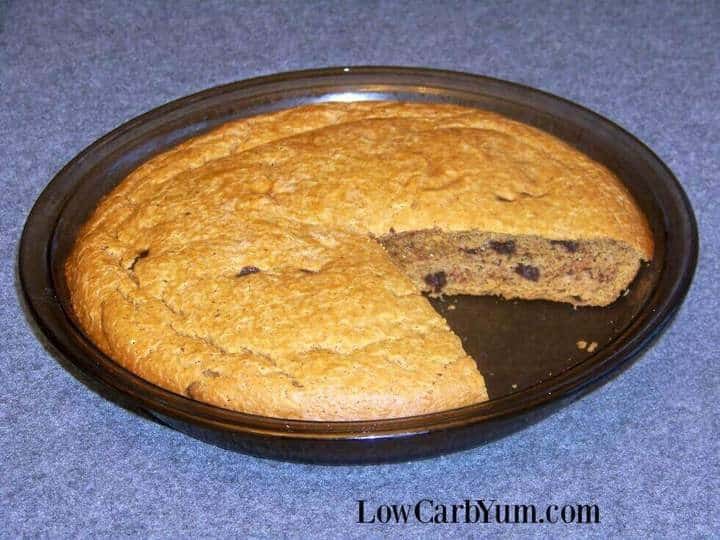 This simple low carb and gluten free peanut flour chocolate chip cake takes little time to prepare. It can be dressed up with frosting or chocolate. Mix peanut flour, erythritol, stevia, baking soda and salt in mixing bowl. Add eggs and almond milk. Blend together with electric mixer until well combined. Stir in chocolate chips. Pour into greased pie or cake pan. Bake at 350 degree F for 30-35 minutes or until toothpick inserted in center comes out clean. Cool on rack. Can be frosted or topped with chocolate ganache, if desired. 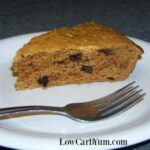 [post_content] => This simple low carb and gluten free peanut flour chocolate chip cake takes little time to prepare. It can be dressed up with frosting or chocolate. I absolutely love the sound of this, thank so much for sharing! I have never used peanut flour before, but now I am going to look for it! Your cake sounds delicious! Oh, that looks good! Love peanut flour! I just started working with peanut flour, but it was so great in my flourless chocolate cakes, I will definitely use it again. I am glad I didn’t get hooked on chocoperfection’s chocolate chips, now that they are discontinuing! A few words of advice if you make your own chocolate chips…granulated erythritol works better than powdered (powdered clumps). And butter works better than coconut oil. I have yet to try xylitol in choc chips. If you come up with a great sweetener combo for it, let me know! Thanks for your tips on making the chocolate chips! I was going to try powdered xylitol, but after your advice, I will use granular. I will be making this today. But how do you make SF chocolate ganache? Do you have a recipe? You can use the one on my no bake peanut butter cheesecake recipe.